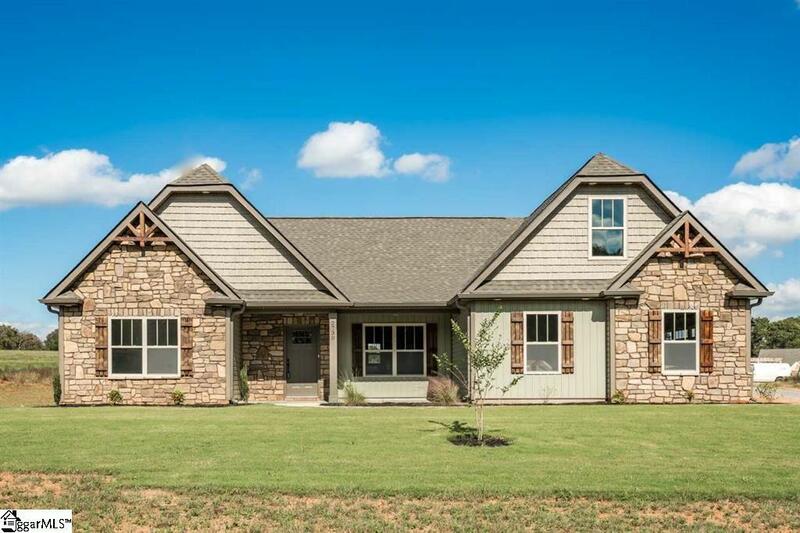 New Construction, custom build home offers 3br/2ba with a bonus on 1.10 acre level lot. Home has laminate flooring through out the living area of the first floor, carpet in the bonus/stairs, tile flooring in bathrooms and laundry. Upgraded White shaker cabinets, with quarts tops, white subway tile backsplash, pantry, large island, and Stainless Steel appliances. Dinning room is open to the kitchen, with accent wall made of shiplap. Great Room is spacious with 6" windows, fireplace with ship lap design, and wood mantle. Nice size master suite, with large walk-in closet, double vanities, tiled shower walls. Covered porch to enjoy your morning coffee.